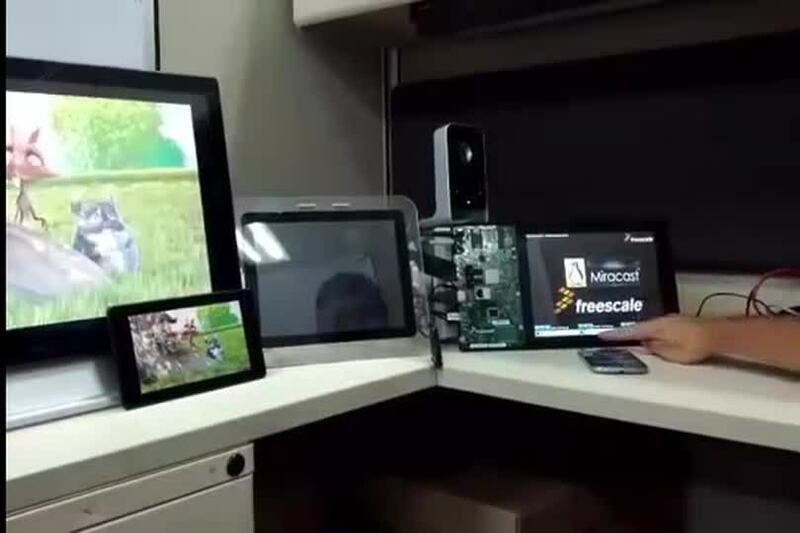 NXP®'s software for Miracast provides i.MX6-based Linux systems a complete solution for wireless peer-to-peer screen casting. Built on standards including the Wi-Fi Display specification, H.264 (MPEG®-4 AVC), and AAC, Miracast supports NXP's software for wireless video applications such as consumer A/V, auto infotainment, and electronic signage. 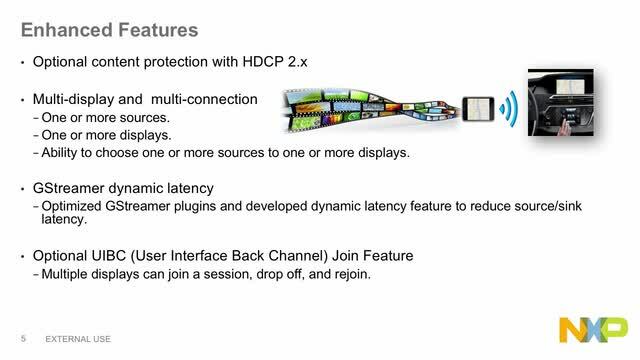 Optional content protection with HDCP 2.x. Multi-display and multi-connection enabling one or more sources to stream to one or more displays. Optional User Interface Back Channel (UIBC) join feature, enabling multiple displays to join, drop off, and rejoin sessions.